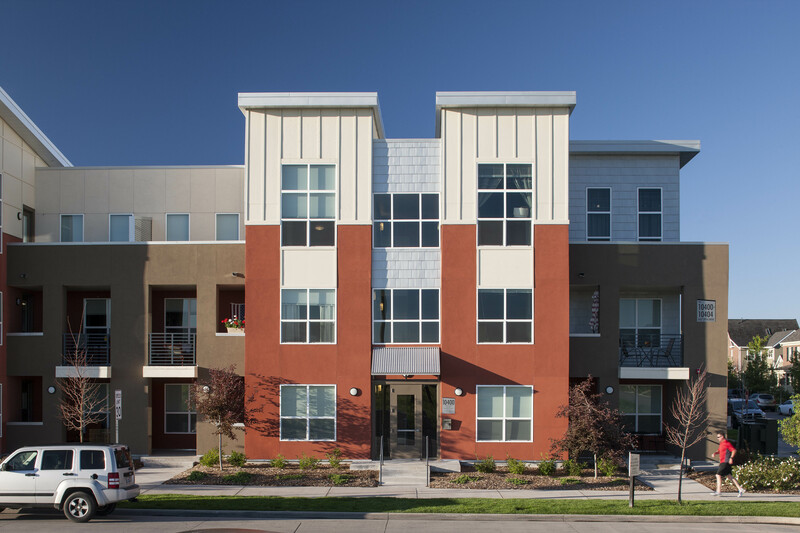 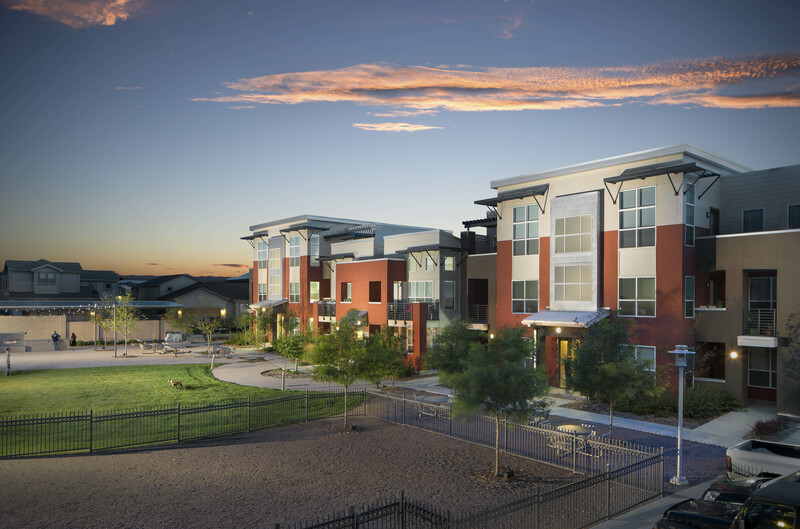 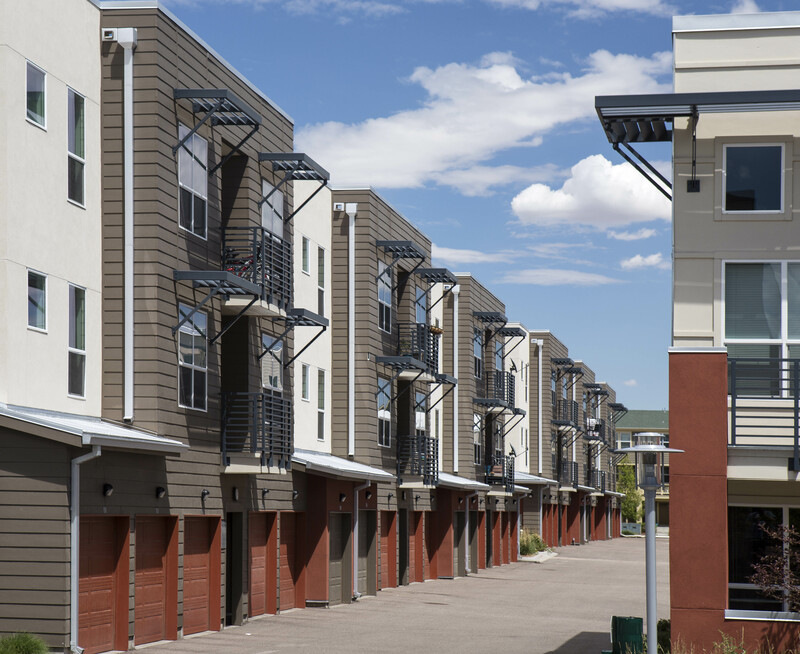 Eastbridge Apartments is a multi-family residential development located just south of Eastbridge Town Center in the Stapleton community of Denver. 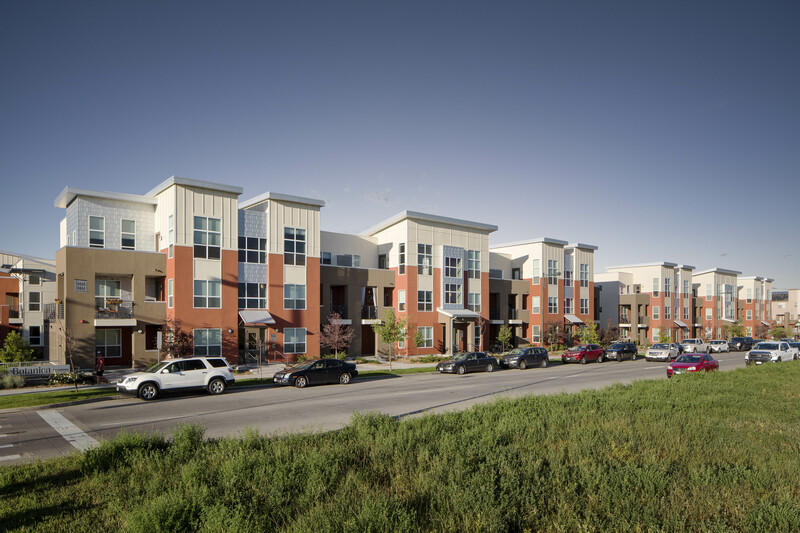 The Eastbridge development serves as a transitional piece of the urban fabric shifting from the commercial center to less dense single-family residential developments. 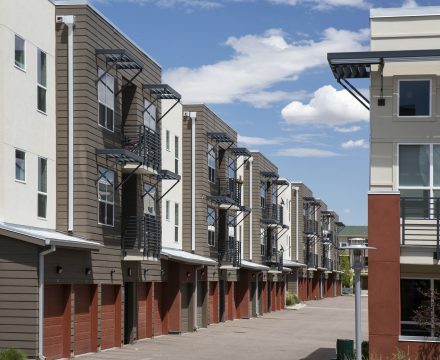 The 118 rental units are broken up into six buildings taking on a horseshoe form. Four of the buildings line streets while the remaining buildings define a large landscaped central courtyard. 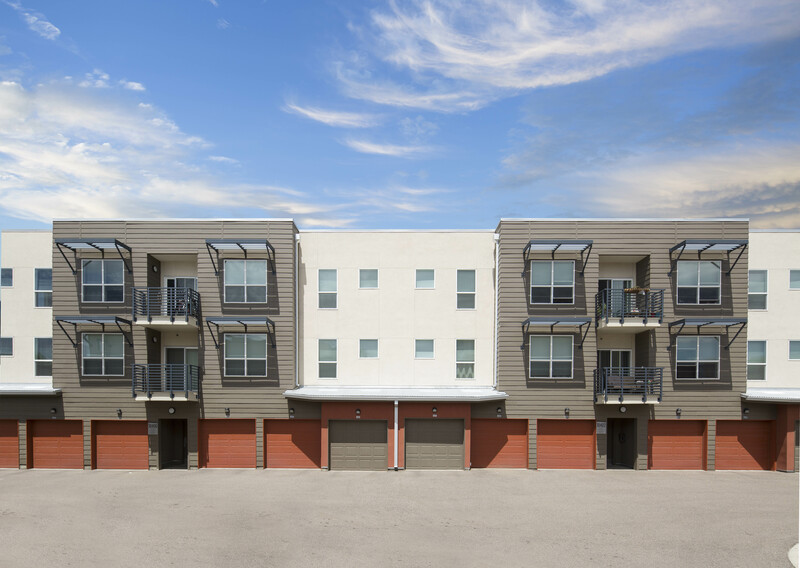 The architecture is composed of rectangular volumes and a mixture of flat and angular roofs expressing the volume inside. 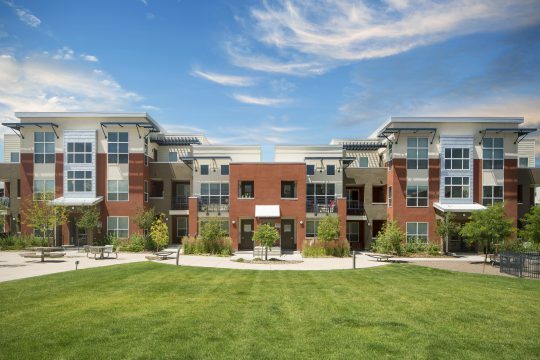 To provide vital higher density housing to sustain the Town Center. 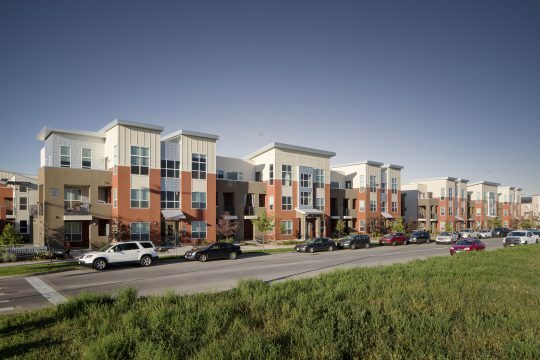 between the Town Center and lower density residential developments. Flip cap roof forms allow higher ceilings, larger windows and more natural light deeper into the units. 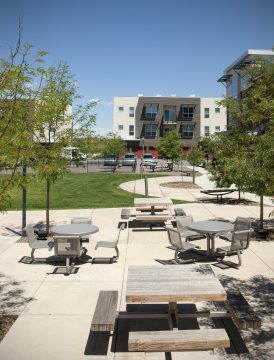 Larger patios and central landscaped courtyard to encourage outdoor living. Tuck under garaged private parking is unique to apartment flat prototype.